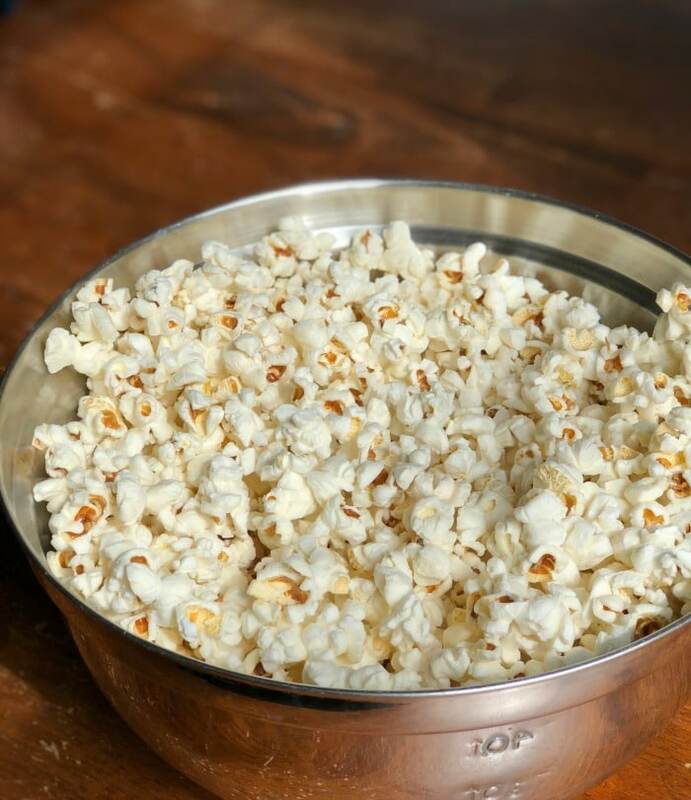 If you’re new to making popcorn on the stove, or if you’re an old hat, you’ll want to check this recipe out. 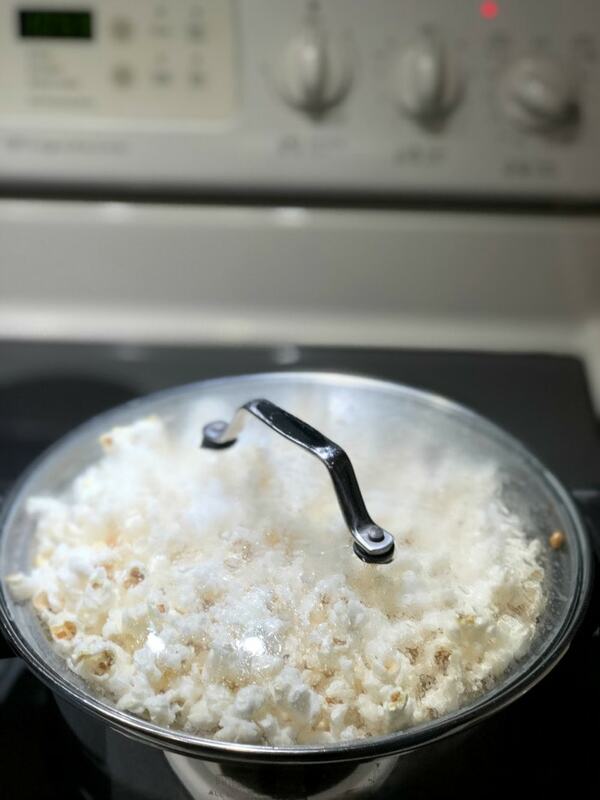 By using my step-by-step instructions you will have perfectly popped coconut oil popcorn made on the stove with minimal (if not zero!) unpopped kernels. Life goals, people! Let’s get started. Next, find a pot with a lid. A glass lid is fun, as it allows viewing of the popcorn popping, but it’s not necessary. I used a 4 quart saucepan for this recipe. TIP: If you’re making this coconut oil popcorn for just one person, cut this recipe in half. This recipe makes enough for me and my three small children. What Makes Perfect Coconut Oil Popcorn? 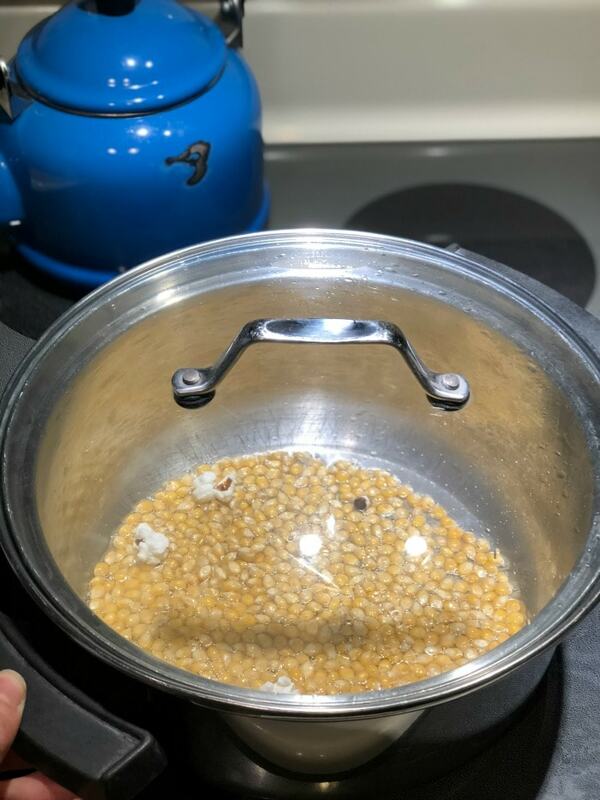 Have you ever made popcorn on the stove, or in the microwave for that matter, and when all was said and done a good portion of the popcorn kernels never popped? Even worse, maybe some of the popcorn even burned. Awful! I’m not lying when I say that this is the recipe for perfectly popped coconut oil on the stove. If you follow my instructions to a T, I guarantee you’ll make the best popcorn you’ve ever made. There will be minimal unpopped popcorn kernels. Promise! The first thing to do when making coconut oil popcorn is to heat the oil to the right temperature. This is also one of the most important steps, so pay attention. 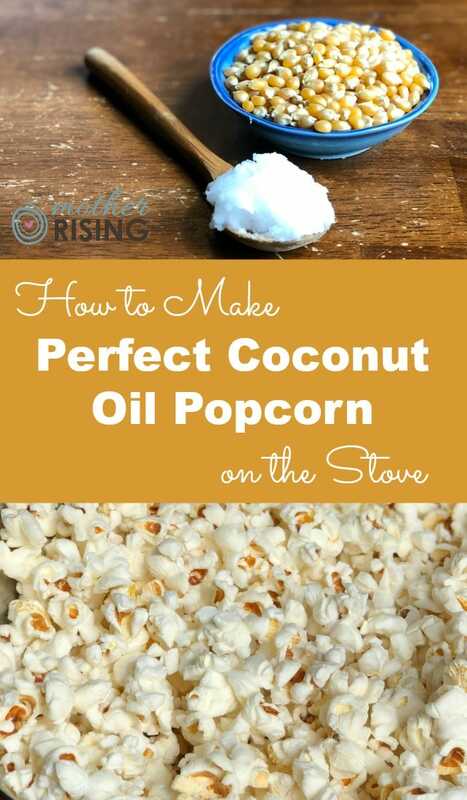 Turn the burner to medium heat, add the coconut oil, and ADD ONLY FOUR KERNELS of popcorn. Cover with the lid and let the oil get hot. 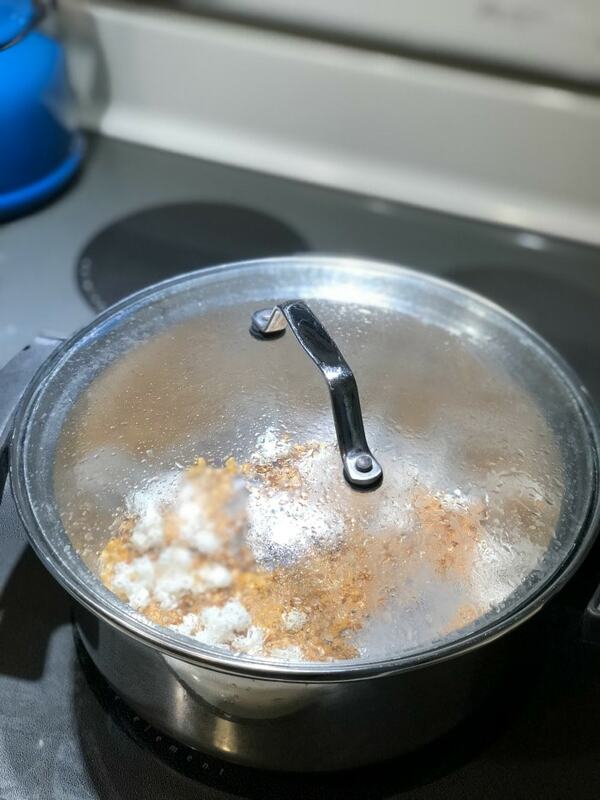 IMPORTANT: Do not skip ahead and add the whole half cup of popcorn kernels, or you will be missing the entire point of this recipe – to make perfectly popped coconut oil popcorn on the stovetop. It’s important to get the coconut oil to the right temperature first before adding all the kernels. The reason why we are adding only four kernels is because they are the way to know that the oil is hot enough. Once they pop, it’s time to add the rest of the popcorn kernels. But wait, there’s another really important step. Once the four kernels have popped, it’s time to add the remaining popcorn kernels. Remove the saucepan from the heat, take off the lid, and add the kernels. Place the lid back on saucepan. IMPORTANT: For the next 30 seconds, shake the pan back and forth off the hot stove. 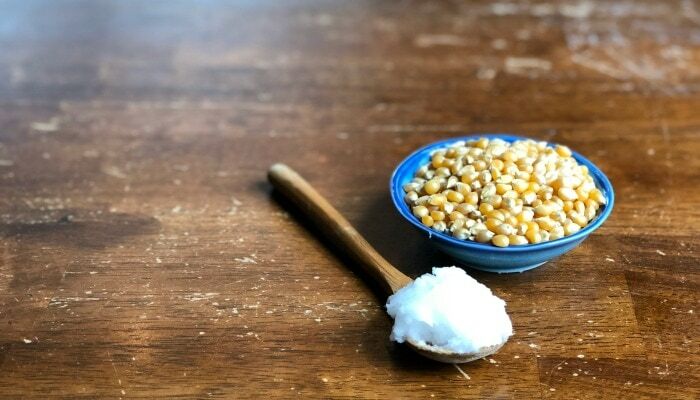 This important step brings the remaining kernels of popcorn to the perfect temperature – the temperature of the coconut oil. After 30 seconds of shaking and heating the kernels, place the pot back on medium heat. It’s hands off at this point. Watch (or listen) to your popcorn pop! At some point you’ll notice the sound of the popcorn popping get less and less frequent. This is good! This means that your popcorn kernels are popping and it’s almost done. Once the pops have become less frequent, maybe 3-4 seconds in between pops, remove from heat. We don’t want the popcorn to burn, so at this point pay attention closely. Voila! You are done! Congratulations, you just made the best coconut oil popcorn all by yourself. Woohoo! On medium heat, add coconut oil and 4 popcorn kernels to saucepan. Cover with lid. Once the kernels pop, remove from heat and add the remaining popcorn kernels. Cover with lid. 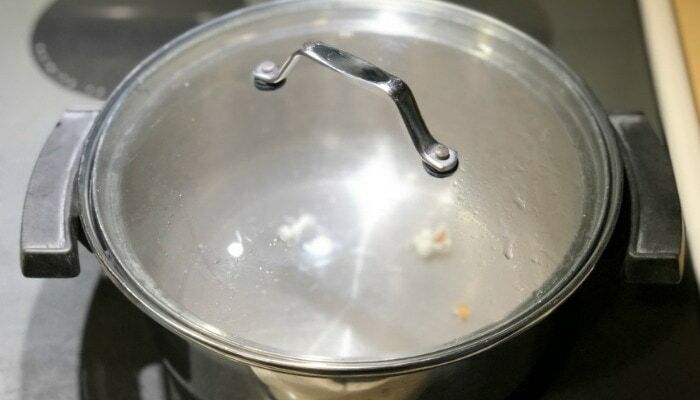 For 30 seconds, shake the saucepan back and forth in order to heat the popcorn kernels to the temperature of the coconut oil. After 30 seconds, place saucepan back on medium heat. Remove from heat when all kernels have popped. Enjoy right then and there or save for a delightful treat later. Makes enough popcorn for 2-3 people. Keep leftovers in an air tight container in order to enjoy another day. I am enjoying now with my dog walker Joyce and dogs also Michi a Shiba and lady Border terrier. I followed your recipe and tips to a T and the popcorn is just perfect!!! Thank you! 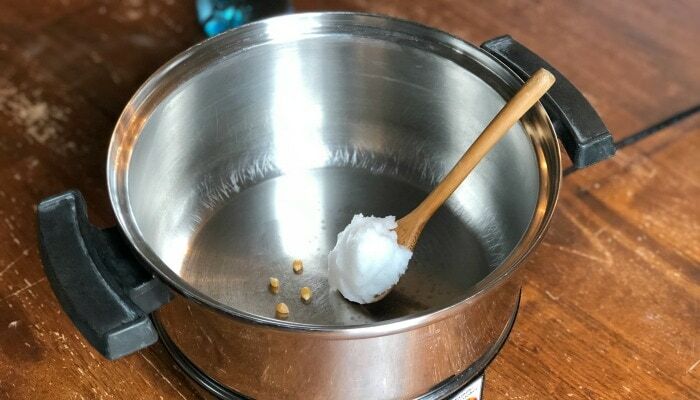 I have been searching for a recipe that recommended unrefined coconut oil and here we are 🙂 Many people recommend the refined due to smoke point, but I only buy the unrefined virgin coconut oil. I use it to saute stuff but have never used it to make popcorn due to worrying about the smoke point. I will be trying it tonight now that I see it can be done safely. Eventually I would like to do it in the Instant Pot too, but may just keep popcorn making to the stove.